I was reading out a post on Windows 8 last night and came across an interesting fact, which was however interesting for me, but don’t know about others. You might have tried out the gesture password, face recognition password but what is picture password is all about. At the first hear it sounds interesting but how effective it is, how easy it is in use or how confusing it can be? I learn out all the facts and came with this post for all my friends and reader. 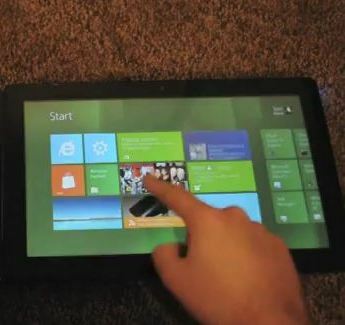 Microsoft has unveiled the much awaited Windows 8 with exclusive features and interesting facts. Where it offers the tiles interface which claims to offer better user experience, Microsoft Windows 8 is also offering the interesting features like Picture Password. Many users was asking themselves and to Microsoft, what’s the need of picture password, is this some kind of artistic credential or it is a game where you cat need to find the mouse. The reality is that Picture password feature is there in windows 8 and it works performing the touch gesture over an image. Look interesting at you don’t have to mug up the confusing word num combination. Are they good for users? Well any kind of security is no doubt beneficial for user but many times security features hassles users. Picture password is similar kind of feature in Windows 8 which might look fascinating and interesting and yet secure but seems like it is also quite confusing. Would you expect to check your own device with some kind of revolutionary method? Even the tech geek like me expects the technology to be secured and charismatic but on the top of it I expect them to be simple to use. Well If it comes in Windows 8 then I would surely enjoy the blend of techno and artistic approach to unlock my device, but will you also like to have such security options. Do share your views on the expected security features in Windows 8 and also your overall views on Windows 8.